My Box Printing is the first choice of several businesses in UK & Europe whenever they require self-closing, briefcase styled suitcase boxes. 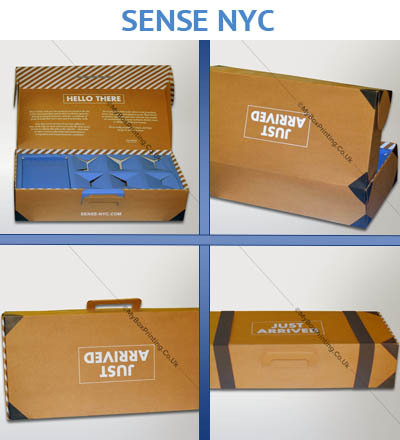 Mostly used for promotional events, conventions, trade shows or similar activities, custom suitcase boxes are a called a modern twist on conventional packaging and the handle make it easy to carry while the cardboard/kraft card and corrugated material ensures the safety of products packed inside. My Box Printing is trusted by numerous businesses and individuals for manufacturing high quality personalized suitcase boxes at a lowest price that no one beat. We can ship up to 50000 pcs in less than 8 working days. Our fast delivery is free in UK and lowest in France, Spain, Germany, Norway and other European countries. Just send us your requirements and we will take care of everything. We needed some briefcase type opening cardboard boxes for some charity, light materials. 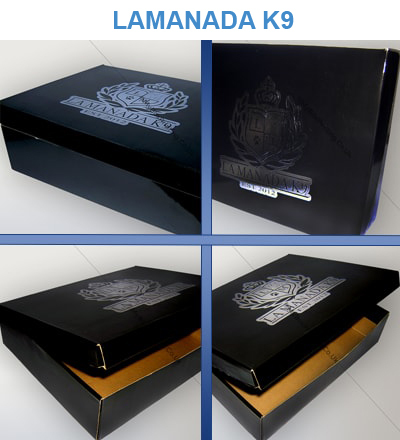 These corrugated type cardboard packaging comes really nice with custom logo and graphics printing. I highly recommend these packaging and printing suppliers for cardboards.